Education marks the beginning of a child’s journey through life and into adulthood. It provides the foundation for a child’s character, moulding future actions and values. It shapes a child’s personality and creates impressions that will last a lifetime. It is only through education that future of the nation and its citizens can be moulded. In today’s competitive world, preparing a child for academic excellence is essential. But education must also teach a child good values and how to become a good human being, the importance of one’s own culture and traditions as also the importance of living in harmony with all other human beings, and respecting all creation – people, plants and animals. Education should also develop creativity. A child must develop the ability to think innovatively in order to excel in the field of his/her choice. 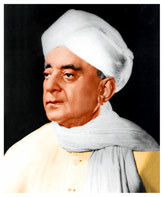 The Philosophy of The Grove School is based on the vision of Sir C. P. Ramaswami Aiyar. “The school shall have served its purpose best, fulfilled its object effectively, if, in addition to the teaching of the three R’s and all the things that go by the scholastic name, the wonderful niceties of life are so inculcated, without which man as a gregarious animal would be written down in history as a failure. The Grove School has been established by the C. P. Ramaswami Aiyar Foundation, Chennai. It is a school with a difference, which aims to provide quality education and creative thinking. The School follows the syllabuses for various subjects prepared for ICSE curriculum. We aim to develop creativity, analytical reasoning and original thought. Pre- K.G. & L.K.G - 9.00 A.M. to 12.00 NOON. U.K.G. - 9.00 A.M. to 1.50 P.M.
Stds. I & above - 9.00 A.M. to 3.30 P.M.
Monday to Friday - 9.00 A.M. to 4.00 P.M.
Saturdays & vacations - 9.00 A.M. to 12.00 NOON.